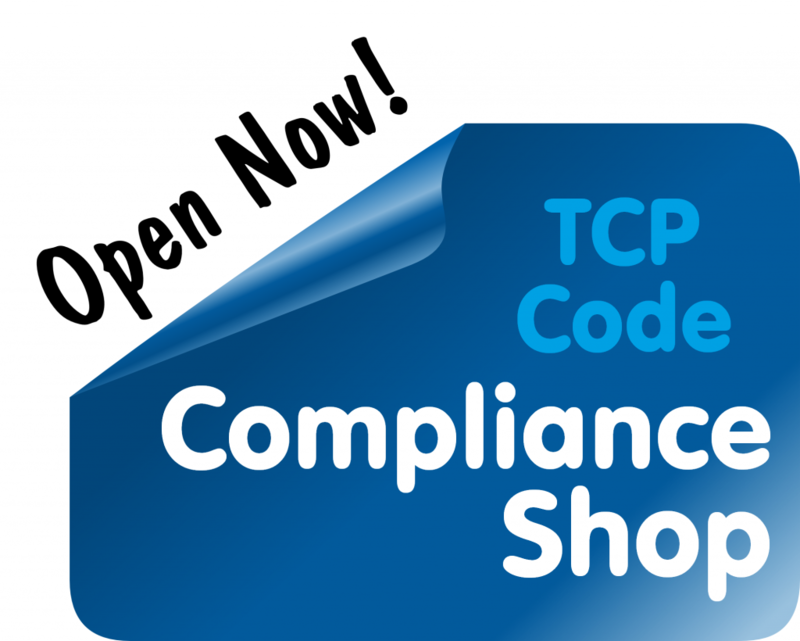 ACMA has formally warned Vodafone for breaching the 2012 TCP Code. Any ACMA warning is telco news, especially when it’s to a major service provider. But this one is unusually significant. There have been six previous warnings under the 2012 TCP Code. Each of them has been about a Code rule that’s pretty black & white. But there are many Code provisions that operate more subjectively, such as the requirement that standard pricing must be ‘prominently displayed’ in print advertising. We’ve been waiting and wondering whether ACMA would really take telcos on about these kinds of rules. Now we know it will. 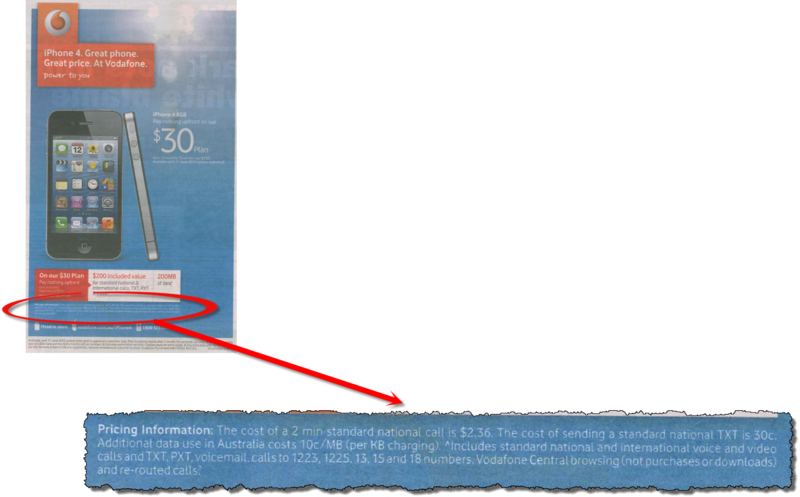 Voda has been warned over a single print advertisement that appeared in Melbourne’s Herald Sun on 18 April 2013. 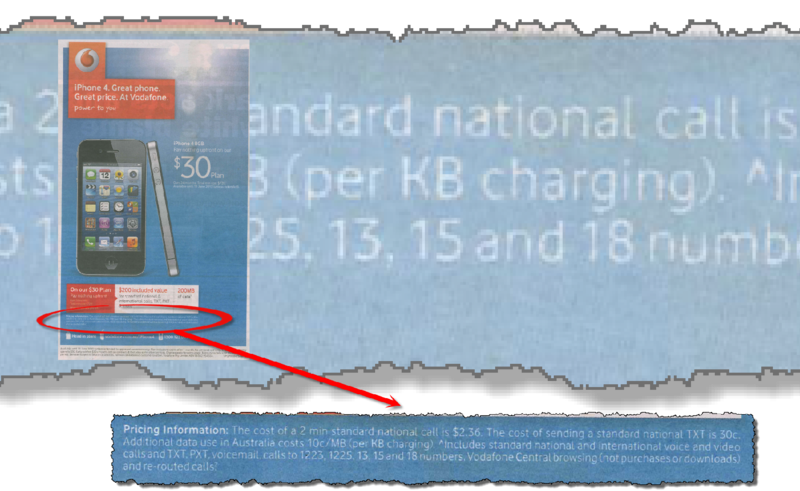 Vodafone Pty Ltd failed to prominently display its standard charges for a mobile phone offer giving rise to an Australian Communications and Media Authority formal warning for breaching the Telecommunications Consumer Protections Code (TCP Code). The ACMA found that although Vodafone had displayed the mobile phone standard charges required by the TCP Code, it had failed to display them prominently as required under clause 4.2.6 of the TCP Code. Here’s the advert in question. Click to enlarge it. To be sure, Vodafone has made it easy for ACMA. This is a pretty extreme case. The ‘prominent’ standard pricing is the least prominent text in the advertisement. It’s the smallest. It’s set against the worst-contrasted background. It may have been an easy call, but ACMA has put a floor under what’s acceptable, which is more than ACCC has done under the corresponding law that it administers. We do consider this a landmark. The Authority has moved beyond enforcing the easy bits of the Code to tackling the more complex aspects. The Code contains many requirements that information be ‘in plain language’ or ‘readily accessible’ or ‘appropriate’. The Voda warning suggests that the regulator may actually have an appetite for giving some meaning, some teeth, to these kinds of Code rules — instead of letting them languish as sentimental, aspirational regulatory padding. This entry was posted in Advertising and tagged text advertising, unit pricing. Bookmark the permalink.